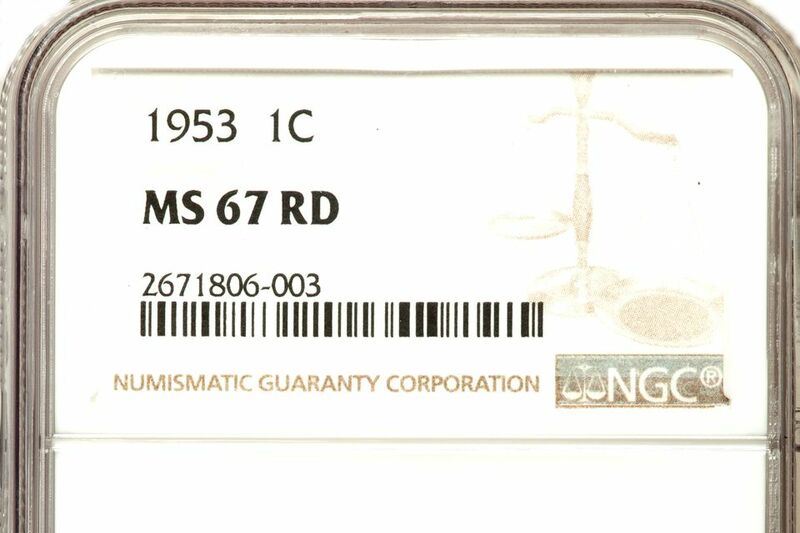 Designations or qualifiers are ratings that are added to a coin's grade after the numerical description. They are used to describe a particular attribute on a specific type of coin. Although there can be many different attributes used to describe a coin in addition to the numerical coin grade, the following designators are important to collectors and can add value to the coin. Designators can be grouped into three main areas that describe the coin beyond the numerical grade assigned by a third party grading service. They are: color, strike and surface reflectivity. The color designation of a coin is only significant on copper coins. Silver coins may tarnish and tone but still maintain their underlying silver color. Gold coins may have different hues of gold color due to impurities in the gold used to make the coin, but since they do not tone or tarnish over time their color is not graded. Conversely, copper coins will be a brilliant reddish-orange color when they are first minted. Over time they lose that red color and start turning brown due to chemical reactions of the copper. The microscopic surface layer of the copper coin that turns brown is called the patina. Since copper coins will gradually turn brown over time, the color of copper coins is graded on a continuous scale. Certain mint state silver and nickel-based coins are worth more if the coin was properly struck with fresh coin dies. By looking at the fine details of the design, numismatists can determine how well a coin was struck. Certain portions of the design, usually the highest points on the coin, may possess all of the original detail as it was engraved into the coin dies. All steps on the image of Monticello on the reverse of the coin are clear and complete. Any lack of detail in the steps would disqualify a Jefferson nickel from achieving this designation. On the reverse side of the Mercury dime there are three sets of horizontal bands that bind to gather the sticks of the fasces (ax like object). Coins that have an exceptionally sharp strike will show that the bands are fully split from left to right. Any weakness or areas where the two bands blend together would disqualify that coin from receiving this designation. On the reverse side of the Roosevelt dime there is a torch in the center of the coin. The torch has a set of horizontal bands near the top and another set of bands near the bottom. For the coin to qualify as a well struck coin the bands must be clearly separated from left to right on both sets of bands. On the obverse side of the Standing Liberty quarter, Lady Liberty is standing between two pillars. The head of Lady Liberty is one of the highest points of the design on the coin. In order for a coin to earn the Full Head designation, the three leaves that adorn her cap must be completely visible, the hairline near her forehead must be full and complete, and the ear hole must be visible. The Liberty Bell on the reverse of the Franklin half dollar must be full and complete. There are two sets of three decorative lines near the bottom of the bell. In order to qualify for the Full Bell Lines designation, the lines must be complete and undisturbed from left to right. Mint State coins can sometimes display unusually brilliant or mirrored surfaces that resemble Proof coins, but in fact are coins made for circulation. One of the more popular series of coins to collect, the Morgan dollar, is well known to have many specimens that exhibit mirrored like surfaces in the field. In order to measure the amount of reflectivity on a coin's surface the coin is held on its edge next to a ruler. If you can read the numbers clearly on the ruler between four and 6 inches away from the coin, this would qualify the coin as Proof like. If the coin has an extremely high polished surface in the field, you should be able to test the coin as described above and the numbers on the ruler from 6 inches and beyond should be clearly visible. This would qualify for a Deep Mirror Proof-Like designation. Certain circulation quality coins have been produced by the United States Mint for collectors that have a specially prepared surface. Usually the planchets were burnished and the coin dies were treated to produce a satin surface on the struck coin. A satin finish is very similar to a sandblasted finish but is much finer and more delicate. On a coin that achieves a Cameo contrast designation, the devices are frosted but the frosting is not strong and may show some weaknesses on certain areas of the design. On a coin that achieves the Deep Cameo designation, the frosting on the devices of the coin is strong and complete across the entire surface of the devices. Additionally, the mirror like surface on the field must be highly reflective. A minimal amount of Proof coins were produced in the early 20th century that did not have the frosted devices with a mirror-like field. These coins had a soft delicate frosting across the entire surface of the coin (both device and field). These were known as Matte Proof coins. Most commonly these are found on copper coins between 1909 in 1916, and a few gold issues.